Statistics about America’s prison system are disturbing.The United States has the highest prison population rate in the world; as of 2008, it was 756 inmates per 100,000 people. 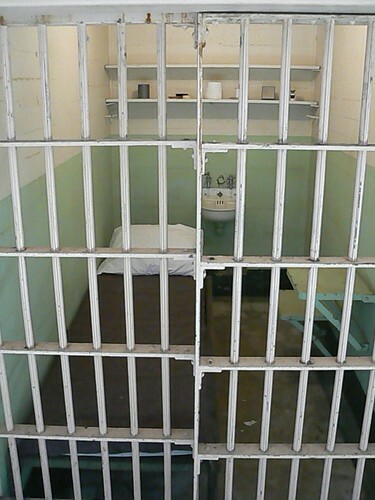 There were 2,310,984 inmates in American prisons and jails as of June 2008. This number has quadrupled since 1980, due not to an increase in violent crimes but rather as a result of the “get tough” movement, which included such policies as mandatory sentencing, ‘three strikes’ laws, and a reduction in the use of parole, and has resulted in striking increases in arrests for drug possession. As Scott Turow has noted, “these days, you can get life in California for your third felony, even if it’s swiping a few videotapes from a Kmart.” In light of such startling figures, it is important to consider why we lock people up. The goals of incarceration are various and can run counter to one another. Retribution, deterrence, and incapacitation are all reasonable purposes of incarceration, and the American prison system seems to have embraced such approaches. But rehabilitation is also a legitimate goal. And there are a variety of programs attempting to improve the lives of those convicted of crimes. These include efforts outside of prisons, such as drug courts, which give non-violent substance abuse offenders the opportunity to choose treatment over jail time. They also include programs inside of prisons, such as ‘restorative justice’ which is based on the idea that all sides would benefit if offenders could come to terms with what they have done and try to make amends with those they have harmed. A 2007 documentary explores one intriguing effort to make the goal of rehabilitation a reality. The Dhamma Brothers, directed by psychotherapist/anthropologist Jenny Phillips, shows the remarkable and profound effects a silent meditation course has on a group of inmates, including rapists and murderers, at Donaldson Correctional Facility, a maximum security prison in Alabama, in 2002. Over the course of ten days, the inmates learn Vipassana meditation, an ancient Buddhist technique which originated in India and was transmitted and preserved in Burma for centuries. Vipassana has in recent years seen somewhat of an explosion in the West; there are many centers throughout the world, including throughout the United States and Canada. The course is rigorous and challenging. Participants meditate for 10 hours per day, starting out with breathing exercises, and around the fourth day switching to a focus on bodily sensations. Meditators pledge to maintain ‘noble silence’ until the final day; and no activities are allowed other than meditating, sleeping, walking, and eating; this means no reading, no writing, no exercising. This may sound excessive, but the rules create a context in which meditators can make real progress. Participants, perhaps for the first time in their lives, are forced to deal with emotional complexes and face truths that they may have been avoiding for years. The experience can be harrowing, both physically and emotionally, yet it is also cathartic, and many meditators come out of a course feeling more ‘in control’ of themselves than ever before. I have done a few courses and can attest to the power of the experience. In the film, the effect Vipassana has on the inmates is truly inspiring. Far from what you might expect of convicted rapists and murderers, the prisoners are thoughtful, articulate, and caring individuals who seem truly sorry for the immense pain and suffering they have caused. The director of treatment at the Alabama Department of Corrections noted that “after this 10-day course, inmates were better able to control their anger and better able to conduct themselves.” While the film deals with people who actually have committed violent crimes, the program would be beneficial even for those doing time for drug offenses or the like, as it would allow a respite from what must be a hellish everyday experience. The film also touches on the challenges faced by those hoping to bring such techniques into prisons. That Vipassana was able to come to a maximum security Alabama prison, even on a small-scale, temporary basis, was largely due to the open-minded views of prison officials. However, things changed when some became anxious that the technique would turn people away from Christianity, and the program was canceled. However, in 2005, with a change in the prison’s administration, it was able to be restarted. One can only hope that such programs will not only continue to exist, but will expand. The links below are for the Vipassana website, and a New York Times article on the film, which includes a trailer.